Find Local LensDoctor - search in your area today! Find Local LensDoctor – search in your area today! Simply enter your location in the search box below. To Find Local LensDoctor, enter your City and State or just your zip code and that’s all there is to it! Find Local LensDoctor® – search in your area today! 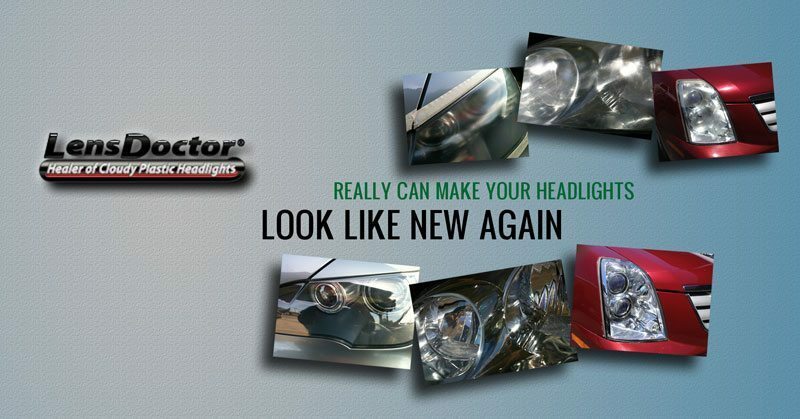 Your local LensDoctor® Headlight Restoration Professional has been thoroughly trained and certified by LensDoctor, Inc. As a Certified LensDoctor® Dealer, they alone are licensed to use the restoration process pioneered by LensDoctor, Inc. The process is based on U.S Patent #7404988 which is held by the founder of LensDoctor, Inc. Terry Kuta. Way back in 2002, Terry worked tirelessly developing this process in the REAL WORLD on REAL WORLD DAMAGE with the goal of achieving consistent ‘like new’ results and lasting beauty. The LensDoctor restoration process has been thoroughly field tested for over 14 years on real vehicles owned by people just like you to insure your satisfaction. LensDoctor® Certified Dealers are passionate about restoring your vehicle’s appearance and safety. They are independently owned and operated – so do your part to support your local economy. Call LensDoctor® today!